Thinking of Buying a Diamond? Here in SW Florida we are bombarded with radio ads and billboards telling us that we need to buy a diamond and that the best and only place to buy is a certain retail outlet, not to be named. The fact is that they do have an incredible and lovely diamond selection. But the other side of that is that when you purchase your diamonds with them, you are not only paying for that ring, necklace, bracelet or other piece of fine jewelry, you are also paying for the name, the high priced advertising and the high rent and upkeep of the storefronts. Diamonds, gold, silver, platinum, and other precious and semi precious stones do not lose value over time.When taken to an appraiser for a valuation and or certification it makes no difference if the item was purchased at a high end store, inherited, or found in a pawn shop. This begs the question, are you willing to pay significantly more money simply to say that you got your jewelry from a certain store? First Pawn is an amazing choice when it comes to shopping for diamonds and high end jewelry. We have a full time Jeweler on staff with over two decades of experience. Every piece we have in our stock has been inspected, cleaned, polished, checked, tightened and is placed in our cases in good as new condition, just as displayed at high end retail outlets, only without the sky high price tag. When you go to a jewelry store, what they have in stock are the latest designs from select designers. You are guaranteed to be buying the same piece or style of as a multitude of other customers in the area. First Pawn Jewelry and Loan attract sellers from all over the world as Naples, FL is a destination hot spot for tourists and snowbirds alike. Items brought in may be recent designs similar to those currently in the big name stores, but we also get a ton of vintage and estate jewelry and that is where it gets really interesting. Because these pieces were created so long ago, many have fallen out of circulation if they exist at all anymore. Jewelry is given as a gift to symbolize love. No two loves are the same. Shouldn’t your jewelry be as unique as your relationship? 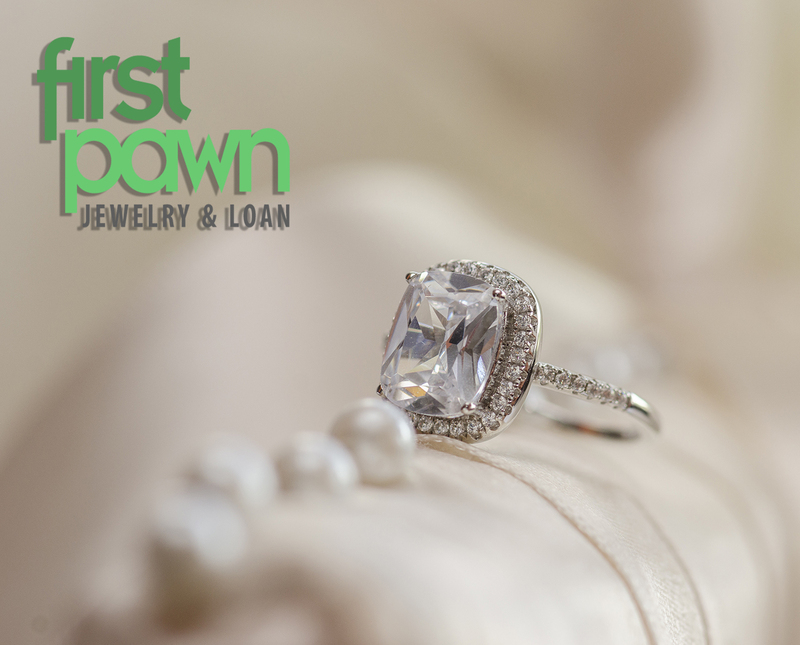 Next time you are thinking of shopping for a diamond or jewelry, think First Pawn Jewelry and Loan first.